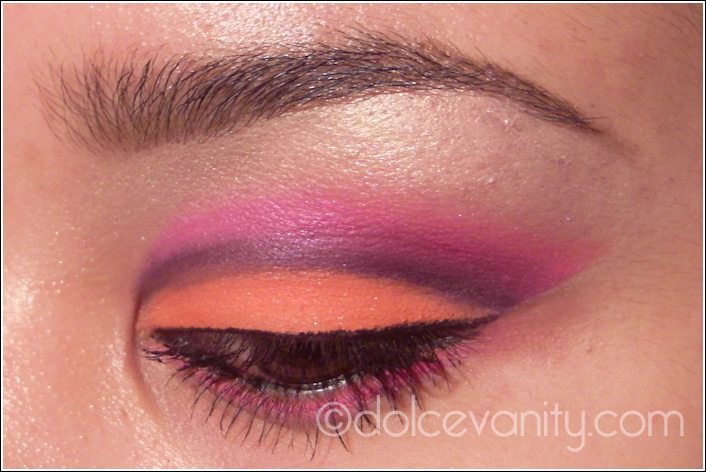 EOTD : Cutting That Crease ! Today I attempted to do a cut crease !!! I'm talking that deep dark cut crease that makes somebody go damn, you cut that crease like a pro'. So first attempt I cut that crease like an amateur but truth be told, I am when it comes to cut creasing. I've had the Sleek Acid palette from when it was first released as a limited edition palette and staring at the colours I was taken a back to what I was going to do with the shades. What I love about Sleek palettes are they do combine colours that are all usable with each other along with the high pigmentation they are workable. I took the challenge today. & yes this is what come about. I didn't apply any false lashes, now I'm thinking 'maybe I should of gone the whole hog ' Yet for a first attempt I'm pleased with myself & as the classic & truthful saying goes : practice makes perfect ! Feedback is more than welcome & tips on creasing if you have any ?! 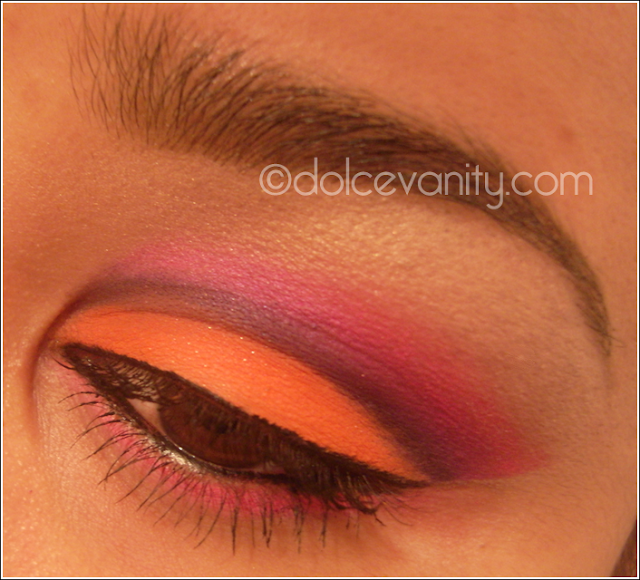 Do you cut the crease like a pro ? daaaaaaaaaaaaaaayum! you crease like a pro!! So happy to see a post from you today. Love this look. I wish I could rock brights like this. 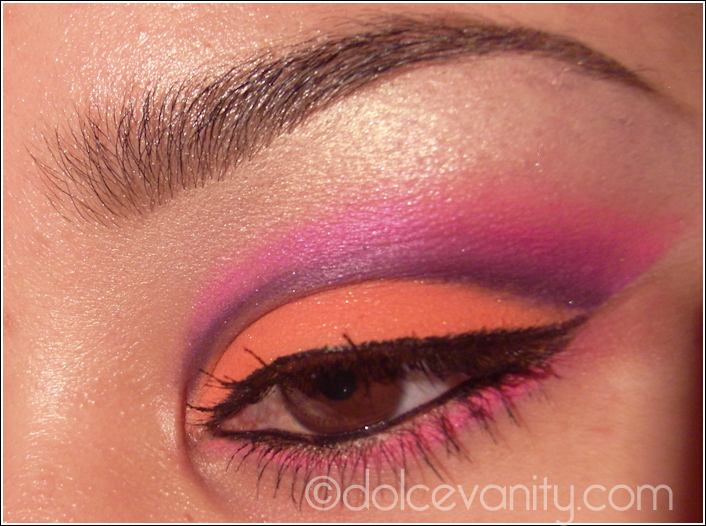 This is a pretty cut crease look. You did a great job and the colours go well together. I believe QueenofBlending via YouTube does the best cut crease looks in my opinion, you can always check her out, if you haven't already! That looks hot! love the colors together! Thank you ladies. I feel so warm from the response. mwah love you lovelies. Damn girl thats good!!! And only a first attempt too, cannot wait to see more. You should do a picture tutorial! GOrgeous look. Love the colors. "I'm talking that deep dark cut crease that makes somebody go damn, you cut that crease like a pro'" That totally made me LOL. I love the colours you used, and you did a pretty good job! I like to use an angled brush or an eyeliner brush to create a crisp line. I've also heard the tip of using a pencil eyeliner as well. @Jo, :o) yay thanks honey, I'll be sure to do one asap. @Jasmin, thanks me too. such a great palette to have. @Arezu, lol sometimes I love to type the crap out my head, glad I made you laugh. Thank you for the compliment. Yeah I used a angled brush myself today duhh never know why I didn't think of that before, I always struggled previously using a crease brush *embarrassed face* Ooo great tip thanks lovely. Oooooohhh I love this look!!! super fierce! @ LipglossAndLeopardPrint. Hey thank you and welcome really appreciate the following.